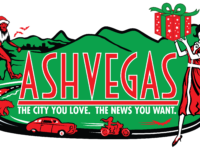 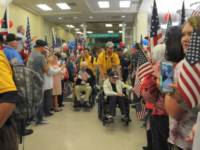 Post Tagged with: "Music on the Fly"
Family, friends and the public are invited to come out to the Asheville Regional Airport about 7 p.m. on Saturday for a welcome home party for the veterans. 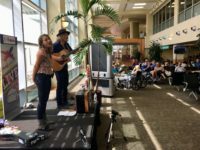 Woody Platt offered the duo a slot at this weekend’s Mountain Song Festival after seeing them performing at the Asheville Regional Airport’s monthly music series called Music on the Fly. 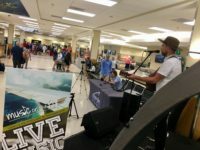 Music on the Fly brings live, local music to the Asheville airport once a month. 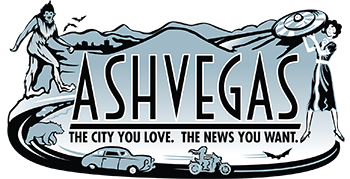 Also, Bela Fleck will hold his first-ever banjo camp in the mountains, Toubab Krewe prepares to launch a new album and tour, and much more.